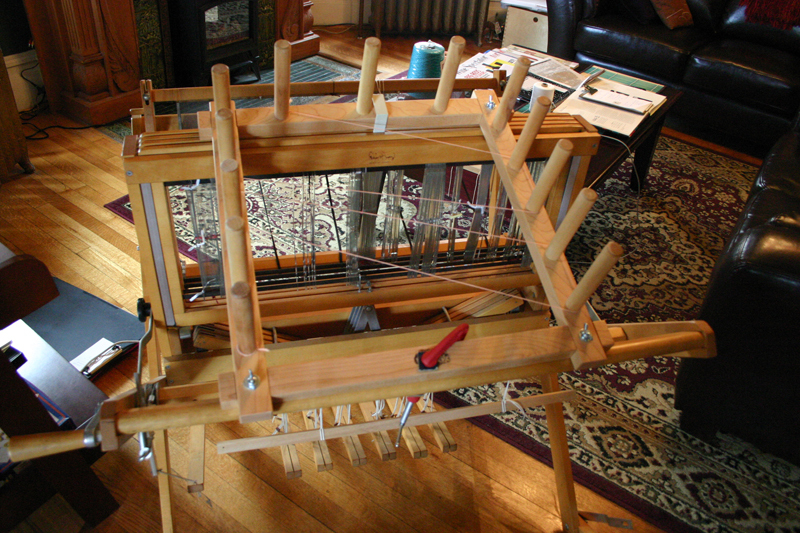 there are lots of bits and things and gadgets weavers need, and they all have odd english- (as in, british-) sounding names like heddle, treadle, warp beam, raddle, sley hook, and so on. reminds me of woodworking (dado, kerf, mortise, rabbet, etc). i love it — makes you feel a part of an age-old tradition. 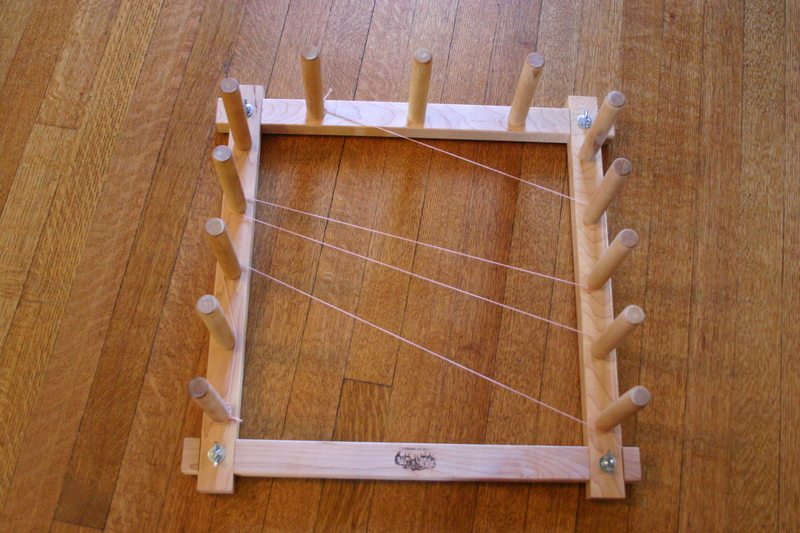 originally, i was going to weave a very, very nice carpet with linen warp (the warp is the part that is stretched on the loom) and wool weft (the weft is the part that you weave back and forth and is wrapped on the shuttle). however, a couple quick calculations made it clear that these quality, durable yarns would soon break the bank — the linen weft alone would, even with deep bulk discounts, cost more than buying all the weft AND warp in cotton. cotton doesn’t wear as well, but as the entire carpet will be glued down to pieces of plywood in the end, and since i’m only getting $2500 for the piece, i’m going to take my chances with cotton. 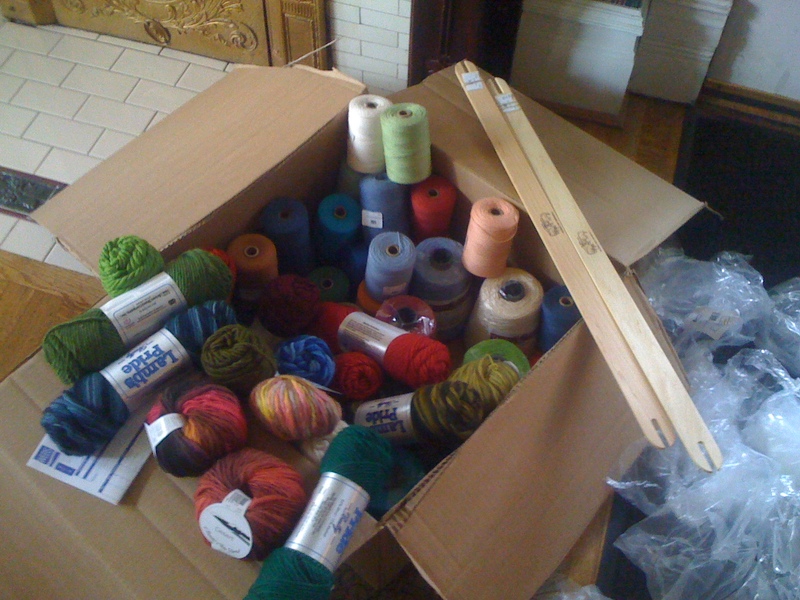 the upside is that there are many more colors available in cotton, and it’s well known that i’m a color whore. given my aesthetic, i figure any wear and tear will, in the end, add to the charm of the hole. next: measuring the first warp out. wheehoo!